It is altruistic to execute an affidavit of support for an immigrant relative to get an immigrant visa in the United States. But the act can expose a person to litigation. In Dahhane v. Stanton, this is exactly what is going on. If you are sponsoring a relative for an immigrant visa in the United States, please make sure that you understand the affidavit of support contract that you are executing. Adam Dahhane, Plaintiff, v. Linda Lorraine Stanton a/k/a Linda Lorraine Stanton-Dahhane, and Bonnie Lynn Stanton, Defendants. Adam Dahhane, pro se Plaintiff. 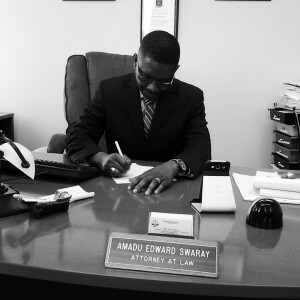 Amadu Edward Swaray, Esq., for the Defendants. This case is before the Court, United States Magistrate Judge Jeffrey J. Keyes, on Plaintiff’s Motion to Strike Defendants’ Affirmative Defenses and Jury Demand and to Dismiss Defendants’ Counterclaims (Doc. No. 12). The matter has been referred to this Court for a Report and Recommendation pursuant to 28 U.S.C. § 636 and Local Rule 72.1. For the reasons discussed below, the Court recommends that Plaintiff’s motion be granted in part and denied in part. Plaintiff and Defendant Linda Stanton permanently separated on November 15, 2008 and were divorced on February 27, 2013. Plaintiff commenced this lawsuit by Complaint filed on March 11, 2015, alleging that the Defendants failed to honor their Form I-864 contract obligations to financially maintain Plaintiff at 125 percent of the Federal poverty level. Count I alleges that Defendant Bonnie Stanton did not honor her financial obligation from 2001 to 2007, but Plaintiff “reserves” the issue of damages on that count. Count II alleges that both Defendants failed to honor financial obligations from 2008 to 2011. The Defendants filed separate but identical Answers in which they admitted, denied or qualified the individual allegations in the Complaint. 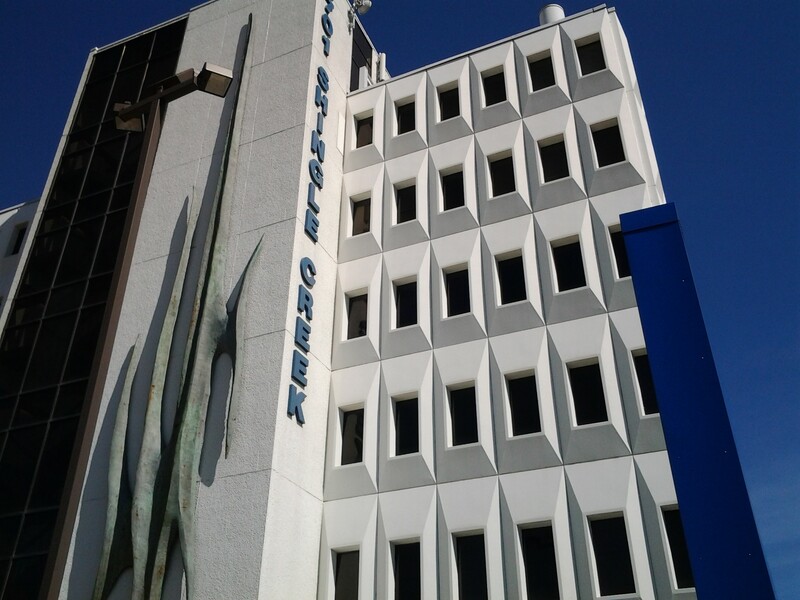 Also, the Answers contained identical listings of concisely stated affirmative defenses, as well as a counterclaim which consists of numerous fact assertions, culminating in a claim for attorney fees and costs incurred in defending this action. Finally, the Answers each contain a demand for jury trial. Plaintiff now moves, pursuant to Fed. R. Civ. P. 12(f), to strike the affirmative defenses on grounds they are not supported by plausible facts sufficient to satisfy pleading requirements under Bell Atlantic Corp. v. Twombly, 550 U.S. 570 (2007) and Ashcroft v. Iqbal, 556 U.S. 662 (2009).1 Plaintiff moves to dismiss the counterclaim allegations on grounds that that they are insufficient and redundant, and that the counterclaim should be dismissed pursuant to Fed. R. Civ. P. 12(b)(6) for failure to state a legal claim for relief, and pursuant to Iqbal and Twombly for failure to assert facts sufficient to state a plausible claim. Plaintiff moves to strike the jury trial demand on grounds that the cause of action in this case is based on a statutory provision that creates no explicit right to a jury trial, and this action is not one in the nature of a suit at common law for which a jury trial is typically allowed. (7) Plaintiff’s 8 U.S.C. § 1183a and Form I-864 contract claims are barred on the ground they cannot be retroactively asserted. Fed. R. Civ. P. 8(c) states that in responding to a pleading, a party must affirmatively state any avoidance or affirmative defense and provides a list which specifically includes, but is not limited to, fraud and statute of frauds. A motion to strike a defense should be denied “if the defense is sufficient as a matter of law or if it fairly presents a question of law or fact which the court ought to hear.” Lutzeier v. Citigroup, Inc., 305 F.R.D. 107, 111 (E.D. Mo. 2015) (quoting Lunsford v. United States, 570 F.2d 221, 229 (8th Cir. 1977)). Motions to strike under Fed. R. Civ. P. 12(f) are disfavored and infrequently granted and should not be granted unless the defense, as a matter of law, cannot succeed under any circumstances. Id. (citations omitted). A motion to strike should not succeed unless the moving party shows prejudice by inclusion of the defense or that the defense confuses the issues. Id. (citations omitted). As to whether an affirmative defense must satisfy the plausibility standards of Twomblyand Iqbal, it has been held in this district that those standards do not apply to the pleading of affirmative defenses because those cases are grounded in a need, under Fed. R. Civ. P. 8(a)(2), to provide a statement showing that a “claim for relief” is plausible, and an affirmative defense is not a claim for relief. Wells Fargo & Co. v. U.S., 750 F.Supp.2d 1049, 1051 (D. Minn. 2010). Also, it is unfair to impose a plausibility pleading standard on a defendant who has a mere 21 days to answer, unlike a plaintiff who may have had months or years to investigate a claim before pleading. Id. And, as in this case, imposing the Twombly and Iqbal pleading standard would simply introduce a largely unnecessary and burdensome round of motions asserting the futility of affirmative defenses. Id. Here, the motion to strike affirmative defenses is based on Plaintiff’s contention that theTwombly/Iqbal plausibility standard applies. This contention is incorrect. Moreover, Plaintiff has shown no prejudice or confusion that is likely to arise as a result of the affirmative defenses. “In a typical case, it quickly becomes apparent that most of the affirmative defenses are not viable, and the parties simply ignore them. No judicial intervention is necessary.” Wells Fargo & Co. v. U.S., 750 F.Supp.2d 1049 at 1051. To the extent that either side in this case seeks to flesh out further facts and information relating to asserted defenses, there is no indication that anything more that modest and appropriately directed discovery would be required. Plaintiff’s motion to strike should be denied as to affirmative defenses. Plaintiff’s motion to dismiss Defendants’ counterclaims should be granted, and the counterclaims should be dismissed without prejudice for failure to state a claim for relief. The pleading that Defendants have designated as a “counterclaim” is merely a recitation of Defendants’ defense to the Complaint, explaining why Plaintiff is not entitled to prevail because Defendants claim they owe Defendant nothing. The counterclaims consist primarily of recitations of background facts and conclusions as to each Defendant’s compliance with Form I-864 obligations, but do not seek damages or other relief from the Plaintiff. Other than a claim for attorney fees and costs, the counterclaim in each Answer does not assert a cognizable legal grounds for relief as required under Fed. R. Civ. P. 8(a)(2). Under Fed. R. Civ. P. 8(d) the court could treat a mistakenly designated counterclaim as a defense without striking the allegation. Here, the defense was already effectively stated as affirmative defense (5): “Defendants owe Plaintiff[s] no duty that they have breached for which Plaintiff should be compensated.” Redesignation would serve no apparent purpose. Defendants will not be deemed to have admitted Plaintiff’s fact assertions by virtue of the absence of counterclaim allegations. With respect to Defendants’ claims for attorney fees and costs, those claims are appropriately presented after the merits of the case have been considered and liabilities have been determined. The dismissal of the mistakenly designated counterclaims will not bar Defendants from moving for sanctions under Fed. R. Civ. P. 11, or seeking other relief as may be appropriate. Plaintiff’s motion to strike Defendants’ jury trial demands is premature and should be denied without prejudice. Under Fed. R. Civ. P. 38(a), the right of trial by jury established under the Seventh Amendment, or as provided by federal statute, is preserved to the parties inviolate. Defendants have properly demanded a jury trial pursuant to Rule 38(b). Therefore, trial of this case shall be by jury unless the court, on motion or on its own, finds that there is no federal right to a jury trial as to some or all issues. Fed. R. Civ. P. 39(a). Plaintiff argues that no right to a jury trial exists in this case because the statute that establishes grounds for the action, 8 U.S.C. § 1183a, contains no authorization for a jury trial, and the cause of action is equitable in nature. Defendants contend that the claim for breach of Form I-864 affidavits is for breach of contract, a common law cause of action on which a right to jury trial exists under the Seventh Amendment. A Form I-864 affidavit has consistently been held to constitute a binding and enforceable contract between a sponsored immigrant and the sponsor. Cheshire v. Cheshire, No. 3:05-cv-453, 2006 WL 1208010 at *3 (M.D. Fla. May 4, 2006) (citing cases), see also Al-Mansour v. Shraim, No. CCB-10-1729, 2011 WL 345876, *2 (D. Md. Feb. 2, 1011) (citingShumye v. Felleke, F. Supp. 2d 1020, 1023 (N.D. Cal. 2008)). The federal statute, 8 U.S.C. § 1183a, is not the basis for the cause of action, but expressly states that an affidavit must be executed by a sponsor and provides authorization for enforcement of a Form I-864 agreement as a contract. Breach of contract is a claim at law to which the Seventh Amendment right to a jury trial attaches. Smith Flooring, Inc. v. Pennsylvania Lumbermens Mut. Ins. Co., 713 F.3d 933, 937 (8th Cir. 2013). Whether a jury trial may be held in this case is secondary to the question of whether particular issues survive to the point of trial. For that reason, the final determination as to whether a right to jury trial exists in this matter must properly await further discovery and possible dispositive motion practice. In light of a more fully developed fact record, and as previously discussed in regard to affirmative defenses, it is not uncommon for defendants to abandon or ignore affirmative defenses that are simply not viable, Wells Fargo & Co. v. U.S., 750 F. Supp. 2d at 1051. And the court may find that a right to jury trial exists as to some issues, but not others. Fed. R. Civ. P. 39(a)(2). A final determination on the right to a jury trial, or any trial at all, may be contingent upon which claims and defenses survive discovery and summary judgment. Al-Mansour, 2011 WL 345876 at *2 (determining that plaintiff was entitled to partial summary judgment on liability on a Form I-864 claim to the extent that a valid and enforceable contract existed, but that summary judgment was not appropriate on damages). A decision as to the nature and scope of any trial in this action is premature, and the motion to strike the jury trial demand should therefore be denied. 1. Plaintiffs motion to strike affirmative defenses should be DENIED. 3. 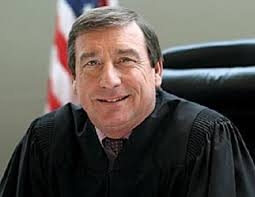 Plaintiff’s motion to strike Defendants’ demand for a jury trial should be DENIED. Under Local Rule 72.2(b) any party may object to this Report and Recommendation by filing with the Clerk of Court, and serving all parties by August 18, 2015, a writing which specifically identifies those portions of this Report to which objections are made and the basis of those objections. Failure to comply with this procedure may operate as a forfeiture of the objecting party’s right to seek review in the Court of Appeals. A party may respond to the objecting party’s brief within fourteen days after service thereof. All briefs filed under this rule shall be limited to 3500 words. 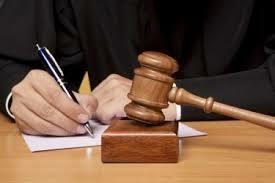 A judge shall make a de novo determination of those portions of the Report to which objection is made. This Report and Recommendation does not constitute an order or judgment of the District Court, and it is therefore not appealable directly to the Circuit Court of Appeals. 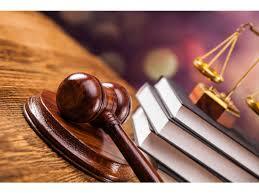 Unless the parties stipulate that the District Court is not required by 28 U.S.C. § 636 to review a transcript of the hearing in order to resolve all objections made to this Report and Recommendation, the party making the objections shall timely order and file a complete transcript of the hearing within ten days of receipt of the Report. 1. Under Twombly and Iqbal, a claim for relief is plausible if its factual content would allow the Court to make the reasonable inference that the defendant is liable for the misconduct alleged.Iqbal, 555 U.S. at 678. This case is currently been argued in The United States District Court in the District of Minnesota on behalf of the Defendants by Amadu Edward Swaray at Swaray Law Office in Brooklyn Center, Minnesota. Swaray is a general practice attorney with immigration law as one of his specialty areas. 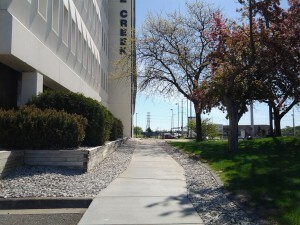 Brooklyn Center is one of the northern suburbs in the Twin Cities of Minneapolis and St. Paul. The city is contiguous to Brooklyn Park, Crystal, Plymouth and Fridley, among others. 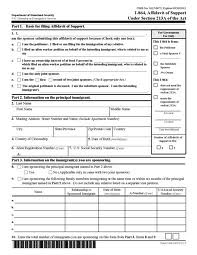 Should I Execute a Form I-864 Affidavit of Support for my Immigrant Relative? For those who want to file immigrant visas for their relatives, a Form I-864 Affidavit of Support, is critically important to the process. It is a form prepared by the Department of Homeland Secuirty (DHS) and used by immigrant sponsors to make a contract to be financially responsible for their relatives that they help to bring to the United States at a household income of 125% of the federal poverty guideline, and to protect them from being a public charge. The DHS, in turn, grants the relative an immigrant visa or a Green Card. The contract is executed only by the DHS and the sponsor, not the relative. The relative only promises, under the contract, to assist the sponsor with financial obligations created by a relative that accompanied her under her immigrant visa visa to the United States. The sponsored immigrant is the third party beneficiary to the contract. This means that she is entitled to the benefits of the contract even though only the DHS and the sponsor executed it. The sponsor must have sufficient income and or assets to qualify for the sponsorship. The value of the income or asset is determined by the federal poverty guideline. 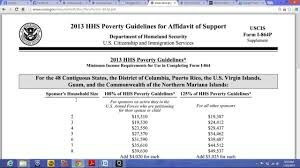 In 2015, for instance, the sponsor must earn at least $19, 912 to be eligible for the sponsorship of an immigrant houshold of two persons. If the sponsor does not have enough income or asset, a joint sponsor may be enlisted to provide the required income. The joint sponsor must, however, also be a United States citizen or permanent resident. Once he executes the contract with the DHS, the sponsor’s obligation to his relative continues until the sponsor or the relative dies; or the relative becomes a United States citizen; or deported from the United States; or placed in a removal proceedings and gets an immigration relief through another source under a new affidavit of support contract. 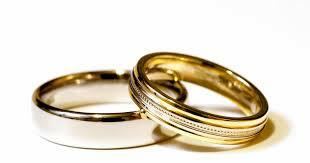 Divorce or separation from the relative does not extinguish the sponsor’s obligation. The sponsor’s failure to support his relative is a breach of contract for which the DHS and or the immigrant relative can sue for damages. DHS could sue the sponsor for reimbursement of any financial assistance given to the sponsored. The immigrant relative can sue her sponsor for damages for failure to provide support. Under the federal laws guiding the contract, the suits can be brought in any appropriate federal, state or local court. Given the nature, the suit may be tried before a judge or jury. Most people that elect to provide sponsorship to their immigrant relatives are motivated by the desire to help with the successful immigration of the relative. Most of them, though fully aware of the legal consequences of their support, would still bind themselves to the contract. Most do not expect to be sued by the relative, and in many cases, the relatives do not sue their sponsors. They are ususally very grateful for the support and after they get their immigrant visas, they focus on the challenges of their lives in the United States. Some, however, would seek to enforce their rights in the event of the sponsor’s breach of the contract. These few usually do so as a reaction to conflicts that germinated in their relationships with their spouses. For example, their spousal relationship results in a divorce, in which the sponsor successfully pursues his immigrant relative for child support, child custody, spousal maintenance, and also gets a significant chunk of the marital asset that the relative individually acquired during the marriage. This article is produced by an attorney at Swaray Law office situated in Brooklyn Center in Minnesota. Brooklyn Center is contiguous to Minneapolis and its northern cities of Brooklyn Park, Crystal, Plymouth and St. Louis Park, among others. The law office has a proud record of providing legal services to communities across the United States for over 15 years. 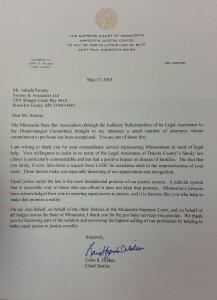 Below is a letter of appreciation and recognition to Amadu Edward Swaray at Swaray Law Office from The Minnesota State Supreme Court, the highest court in Minnesota, for his hard work and dedication to providing free legal service to those that cannot afford it in the Twin Cities area. The letter is specifically from Chief Justice Lorie S. Gildea. It partly justifies our motto, “Justice for All” in the practice and delivery of the law to all. There is a hearing scheduled on April 17, 2015 on the appeal of the temporary injunction on the enforcement of President Obama’s deferred action that was announced on November 20, 2014. The injunction was issued by US District court Judge Andrew Hanen in Brownsville, Texas. Judge Hanen had issued the injunction at the request of the coalition of 26 states led by Texas. The states had asked for the injunction because they argued that the enforcement of DACA and DAPA will inflict irreversible economic harm on them. They also argued that Obama had exceeded his executive authority in granting the relief, and that his executive order, under which the relief was granted to illegal immigrants, violated the Administrative Procedure Act, the Separation of Powers and the Immigration and Nationality Act. The motion to lift the injunction was filed in the early part of March, 2015 with the 5th Circuit court in New Orleans in Louisiana. If the Government succeeds in lifting the injunction, about five million undocumented immigrants may apply and get relief from deportation, and also be able to apply for and get certain basic benefits and necessities. 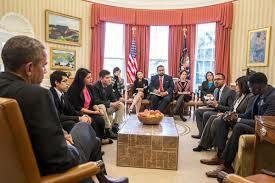 Their open unrestricted activities is expected to immensely benefit the US economy in the various states. This blog is by an attorney at Swaray Law Office in Brooklyn Center, Minnesota. Brooklyn Center is contiguous to Minneapolis and other cities, such as Brooklyn Park, Crystal, Maple Grove, Champlin, Blaine and Robbinsdale. On November 20, 2014, President Obama, under his executive order power as President of the United States, granted deferred action to about five million illegal immigrants in the United States. The order came in the midst of a fierce oppostion from the Republican members of the US Congress and many conservative states in the union. 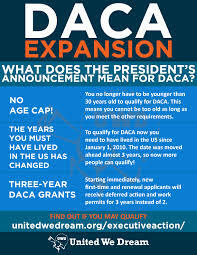 Among others, the executive order expanded the DACA that was passed in 2012 and extended deferred action to parents of United States citizens and Lawful Permanent Residents. The implementation of DACA was to start on February 18, 2015, while DAPA was to start in May of 2015. But on February 17, 2015, Judge Andrew Hanen, a federal district court judge in the Southern District of Texas, Brownsville Division, issued a preliminary injunction that temporarily blocked the implemenation of DACA and DAPA. The injunction suit was intiated in December of 2014 by Texas and 25 other states in the union. powers, the Administrative Procedures Act (APA) and the Immigration and Nationality Act (INA). The federal district court ruled that the 26 states had standing to initiate the suit, and also agreed with their claims underlying the suit. The United States is expected to appeal the preliminary injunction to the US Supreme court. The Government is expected to argue that the district court decision that the states had standing to bring the suit was erroneous; and the President through the Department of Homeland Security (DHS), did not exceed the limits of his prosecutorial discretion; and did not also violate the APA and INA. Among others, the district court ruled that the states had standing because the implementation of the expanded DACA and DAPA would have cost them much needed revenue. Specifically, the court stated that it will cost Texas a lot of money to process driver’s licenses and to educate and provide other services to the immigrants that would have been accorded legal immigration status. The court also stated that the state assumed a standing that was abdicated by the Federal Government’s failure to remove the immigrants that it was supposed, under law, to remove, and instead granted them legal status. But a closer look at the decision shows that the states would not have suffered any injuries, and the federal government did not abdicate its power to act in an area it was supposed to act. The enforcement of DACA and DAPA would have in fact benefitted the states. The cost of processing driver’s licenses in almost all the states in the union are borne by beneficiaries of the licenses, and from the process, the states in fact gain revenue. The expenses on education of the immigrants would have resulted in long term manpower benefits to the states. 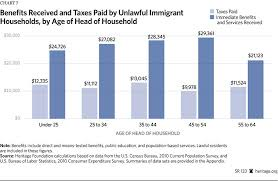 Additionally, it is not every illegal immigrant that the state spends its revenue on. Some of these immigrants enter the United States already very educated, and then use the education to benefit the states in which they reside. Additionally, the decision that the states had standing by abdication was erroneous because the Federal Government did not abandon its duty of removing the illegal immigrants by the extension of the deferred action to them. Rather, the Government decided only to withhold the removal of the immigrants for a temporary period, and to use the deportaion resources on other more imperative types of deportation. 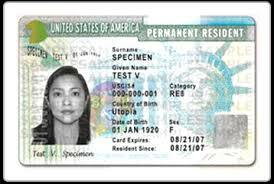 Moreover, the preliminary injunction would not have really redressed the cost to the states of processing driver’s license application and providing other benefits to the immigrants if they were granted legal status. The states still continue to provide benefits to these immigrants even without the enforcement of a DACA and DAPA program. The court’s decision that the President exceeded the limits of his prosecutorial discretion when he extended the deferred action was also erroneous. The power to enforce the DACA and DAPA programs were well within the the enforcement powers that Congress delegated to the DHS. Congress delegated to the DHS and other agencies the power and discretion to remove or not to remove and to withhold removal of aliens as they deem fit. Deferred action is one of the prosecutorial discretions that resulted from the congressional delegation of the power and discretion to remove. The DACA and DAPA programs are the expression of such prosecutorial discretion. The DACA and DAPA directive were not a usurpation of the legislative power of congress, but only a policy guide to the enforcement of a power that congress has already delegated to the DHS. The court’s decision that the executive order violated the APA or the INA was erroenous as well. The executive order did not violate the APA. It is true that DACA and DAPA involves rulemaking under the APA, which requires a notice and comment procedure that the DHS did not follow before implementing the program. The ensuing rule could also be subject to judicial review. But the notice and comment procedure is exempt and the rule not subject to judicial review if the agency action is in an area exclusively committed to the agency. An example is an area that is particularly within the agency’s expertise and over which it is far better equipped than the courts to deal with. Additionally, the agency’s refusal to act would generally not infringe upon areas that the courts are called upon to protect, such as individual liberty and property. In this case, the act of deciding not to remove aliens under the DACA and DAPA programs is exclusively commited to the DHS, and because of this, it was not subject to the APA notice and comment procedure and to judicial review, and therefore, did not violate the APA. 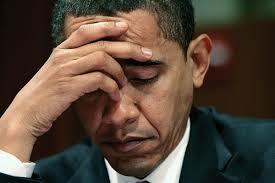 The executive order did not violate the the INA. Though the order temporarily postponed the removal of aliens that the Government was supposed to remove, it did so under a deferred action procedure that has roots in the INA, and therefore, could not have violated the INA. This blog is by an immigration attorney at Swaray Law Office in Brooklyn Center. Brooklyn Center is a northern suburb in the Minneapolis/St. Paul area of the Twin Cities in Minnesota. Swaray Law Office not only accepts clients in Brooklyn Center, but also from Minneapolis, Robbinsdale, Crystal and Maplegrove. The blog is not a legal advice, If you need legal advice, contact the office at swarayassociates@cs.com or 763-549-0670. With the regional center program set to expire in September 2015, the EB-5 industry has been given new life in the form of the American Entrepreneurship and Investment Act of 2015. The Act was introduced ton January 28, 2015 by Congressmen Jared Polis (CO-02) and Mark Amodei (NV-02), and is a follow-up to last year’s bill of the same name. The bill would make the regional center program permanent and allow for continued job creation and a more reliable stream of foreign capital. It is exciting to see such comprehensive program reform once again up for discussion in the House of Representatives. The EB-5 industry needs these kinds of changes to continue to operate efficiently and withstand the high demand from foreign investors. Contact your representative today and urge them to support the American Entrepreneurship and Investment Act of 2015.